Schedule and book your fridge or fridge freezer repair online. 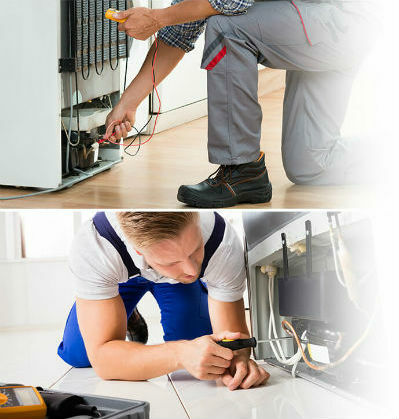 The fully equipped specialist will arrive to diagnose your appliance. He will replace the faulty components in one visit, if possible. The expert will stress-test your appliance to ensure it’s working properly. The freezer is frosting up or is leaking water. Why contact the fridge freezer repairmen in London? All operatives of our trusted provider are City & Guilds-certified and can service any fridge or freezer on the market. In addition, they will also source original spare parts that were bought directly from the manufacturers to ensure that your repairs will not be merely temporary. You can schedule a fridge and freezer repair service for the following day. Regular Monday through Friday appointments are also available upon request. Besides fixing your home fridge freezer, the company has the qualifications and the means to help you solve appliance issues on your workplace. Sometimes, things may simply not go according to plan. That is why each performed job or replaced part by the certified technician is fully guaranteed for a period of one year. Will you be able to perform the repairs in one visit? Most of the times this will be the case. However, if the faulty part in your appliance is one which the technician lacks, he will order it and schedule a follow-up visit to install the part. Upon request, the company can help you with professional cooker and oven repairs, washing machine and washer dryer repairs, tumble dryer repair, dishwasher repair services. Besides repair do you also provide fridge freezer installation service? Absolutely! We can help you install your new fridge freezer or replace the old one. What areas do you currently cover? Each of the technicians can easily service most of the regions within the M25 zone in London. Can I pay my technician with my credit card? Of course! Your engineer will carry a mobile card payment device to make the transaction.